The Apollo line is also known as the line of the Sun. It is traditionally believed to suggest success and public acclaim. On the palm, the Apollo line can start near the base of the wrist or anywhere on the plain of Mars. The line ends on the mount of Apollo, under the ring finger. Sometimes it can be hard to locate the line of Apollo because it is easily mistaken for other lines such as the line of Mercury. If it starts near or on the base of the wrist and moves straight up the palm towards the ring finger, it shows someone who will enjoy plenty of success during their life. If a Saturn line runs alongside it up to the middle finger, it suggests that the person will work hard. A line which rises from the head line, it shows strong motivation to succeed in life. When it begins on or near the heart line, there is a lot of emotional energy that goes into achieving goals. The person has found their passion or that they are very creative. If it begins from the life line, it shows that the person will have the support of influential people (such as family) throughout his or her life. One that rises from the Saturn line, shows success through the career or a project. More than one Apollo line shows a gifted person with many talents and a happy-go-lucky disposition. A line rising to it shows an influence or enterprise which helps the subject. If you have talent and are good at what you do in the arts, a lack of Apollo or fate line does not mean you cannot be successful and famous. It may be that you have no expectation of your work. In some cases, the person does not fully appreciate their gift. Of course, as with all indicators on the palms, you need to compare the factors before making a conclusion. To enhance the qualities of Apollo, you can wear a ring on the Ring finger. The more flamboyant, the better. Wearing the ring can remind you of how happy, creative and successful you can be. Watch my Youtube video about the Apollo success line here. 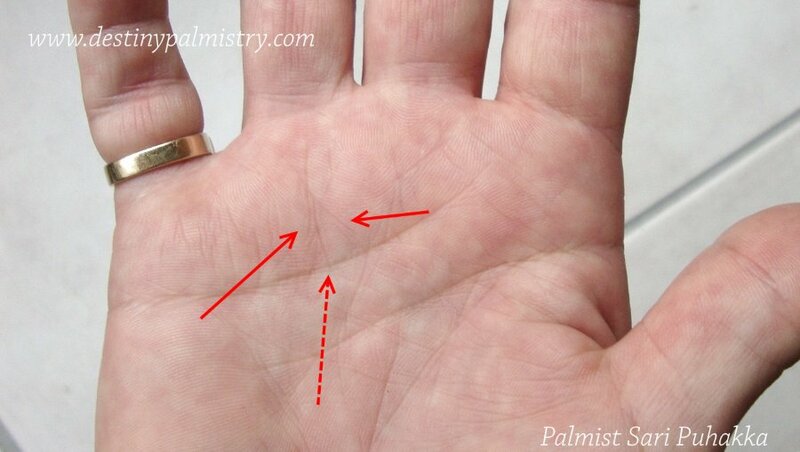 Previous PostPrevious Marriage Line in Palmistry – How to read it?